THE L.C EXPERIENCE: Fourth 'Friday' Movie In The Works According To Ice Cube. Chris Tucker May Reprise His Role As "Smokey"
Fourth 'Friday' Movie In The Works According To Ice Cube. Chris Tucker May Reprise His Role As "Smokey"
According to various reports we might be getting closer to finally seeing Chris Tucker reprise the role that put him on the map. According to Ice Cube, he's working out a deal with New Line Cinema for a fourth Friday movie. "The 4th Friday movie is in the works. Working out a deal with New Line Cinema," Cube wrote on Twitter yesterday (November 16). While the rapper/actor/director made no mention of Tucker, Tiny Lister, who played neighborhood bully Deebo in the original 1995 film told TMZ that Tucker and Cube are in discussions. "There's a lot of conversations that will hopefully go down next week with Ice Cube and Chris Tucker, then we're gonna do one more Friday," Lister said. "This is gonna be the big one." In August 2010 Cube talked about his desire to have Chris reprise his role as "Smokey." Tucker's last film was 2007's Rush Hour 3. 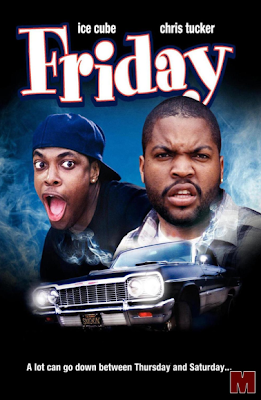 According to Deadline, he has been hesitant to do another Friday movie due to all of the weed smoking depicted in the film, but that seems to have changed if Lister is correct.